OK, so for years I have been lecturing about “Re-purposing, Up-cycling” things.. So here’s an idea, saved from the trash. 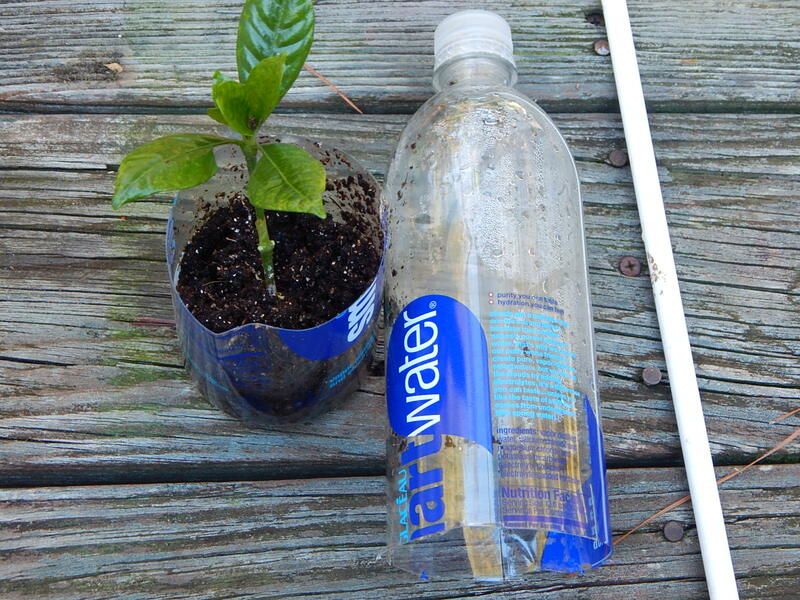 I need to start some seeds, Paw Paw, Hardy Hibiscus, and Flying Dragon Citrus. 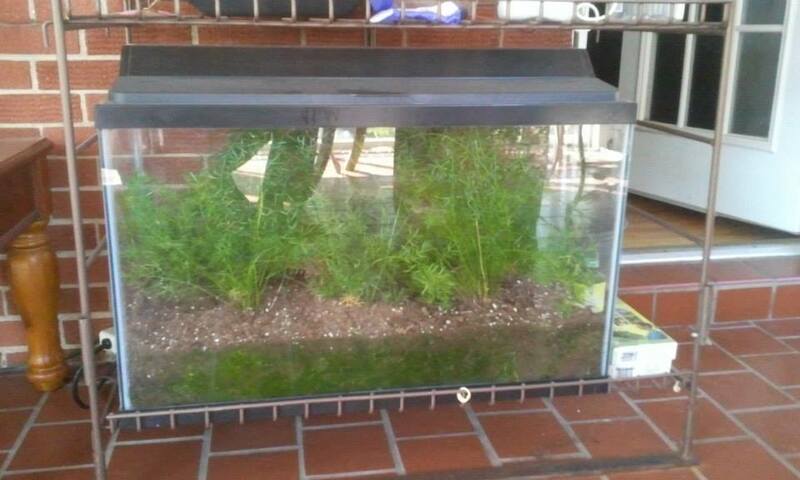 All have hard outer shells, and need to either be scarified, or soaked to germinate. I found this “thing” in the trash. 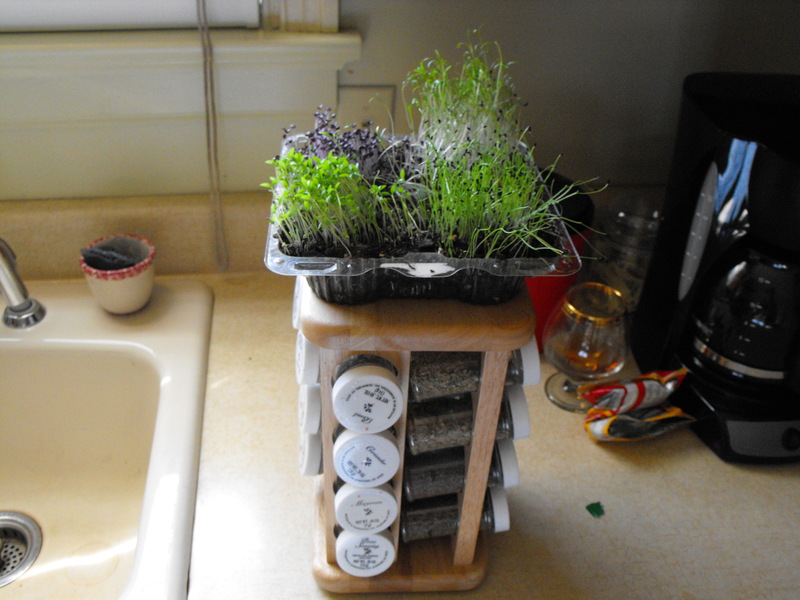 And, I am using it as a “mini greenhouse” to see if I can get anyone to sprout. We’ll see..
A nice zip up bag, a couple of old hair curlers, also new in the bag, and wet soil. So we’ll see. Stop tossing growing stuff out!! This is Solarization as you want it to work? Is Manure Tea, The Right Way? There are hundreds of recipes out there for making Manure Tea. The last decade or so, some issues are arising, and I have been caught up in the middle several times by readers, clients, audiences.. My recipe is included below, but here’s the seemingly abundant issue coming in large with those who are trying to stay on the Organic side. “Yes”…… Federal law, they have to tell you, they don’t need to disclose it, but they have to tell you if asked, now ain’t that something? Now, I’ve seen a few, go just super ballistic after they tell me the outcome. My issue is, I’ve tested manure in several composted piles at several ranches, and made Manure Tea, applied it to several different plants, and if all the broad leaf plants that died, well, the answer from the hay farmer was right, they used the chemical. That chemical, can be eliminated by the animal in their waste, and can linger in their waste, for four years, if there is no broad leaf plant (Tomato, Vinca, etc.) to consume it. 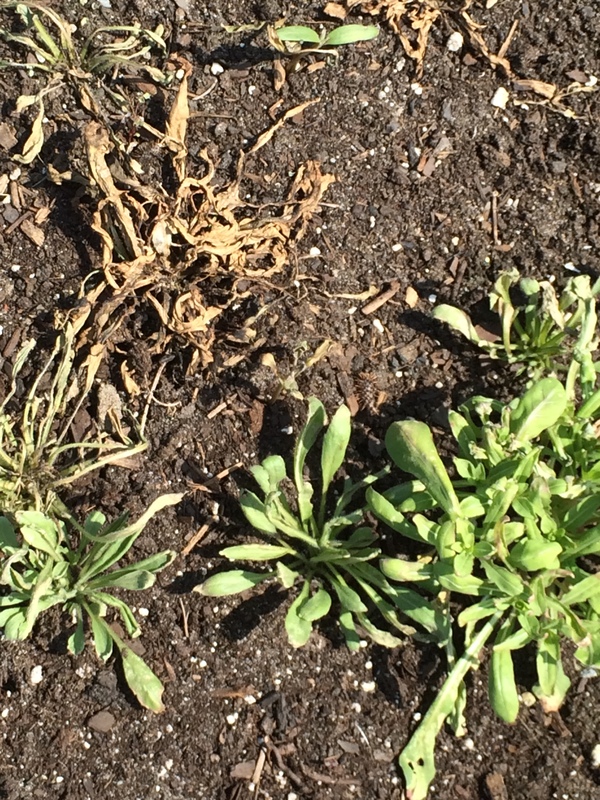 It’s in the garden bed, in the manure, and as it rains, or watered, it splashes onto the leaf of the plant, and kills it…… Same as Weed and Feed, in your lawn, FOUR YEARS. Barefoot in the lawn is not so attractive anymore is it? Stop using it, you can get better results by “spot treating” with a spray, or feed at the right times. You won’t promote weeds, there’s always another chemical in the next AD to counter, what was promoted wrong. Just educate yourself folks, ask!!! All you have to say to privately owned is “are there any chemicals in the product”? And they have to disclose. Some actually use Glyphosate (Round-Up) to kill the whole crop at the same time so it’s more “pure”, no greens left. Now, here’s the twist, bagged goods labeled “Organic”. Look at the label, adds up to what, about 85%? On the flip side, by Federal Law, these Vendors only have to claim as 85% Organic, the other 15%, they don’t have to tell you, they can add what ever they want, to stay ahead of the other guy. And don’t have to tell you. Money thing, Monsanto stockholders, most of our Government owns this stock, all the way to the White House, and placing the outcome on our dinner tables, recreational areas, water.. What do they care, they are making millions. 4″ Drainage Pipe cover and coffee can. I take a piece of the “sock” and tie one end off, place it in a coffee can, cut it so it drapes over the side. Pack full with the manure, add 1/4 cup of Bio-tone, a little Milorganite, 5 or 6 pieces of Lavender leaf, and sprinkle a little Bt. Tie the open end with a longer string, about 18″, and pull out the “Tea Bag”. This bag will treat a 5 gallon bucket about 5 times refilled. Let it steep about a week each refill. TEST it on a weed at first batch!! You never know if there may have been a chemical introduced in your products. 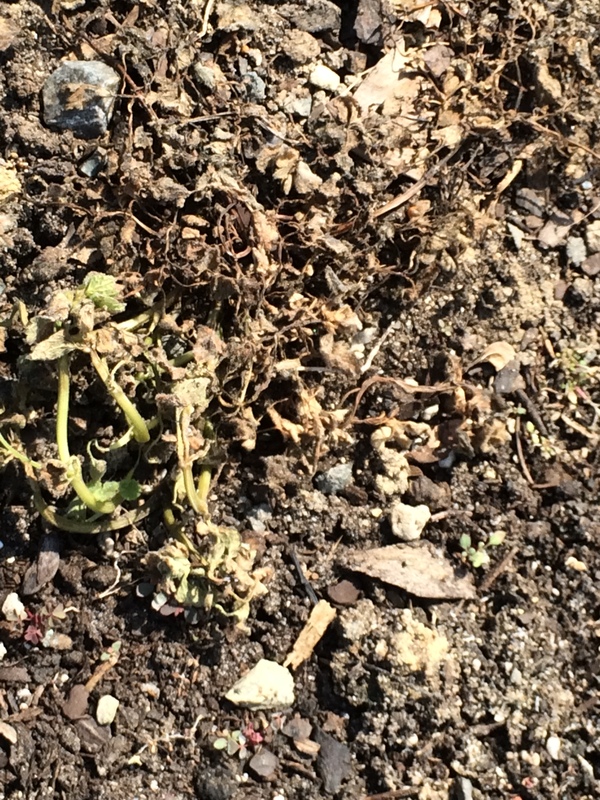 If the weed grows, good batch, if it dies, spray your driveway or wherever you have weeds. The Milorganite will supply Iron, as well as a critter deterrent, as well as the Lavender. Bt, will keep Mosquito Females from being able to coagulate blood, for her eggs, Bio-tone, promotes root strength and growth. 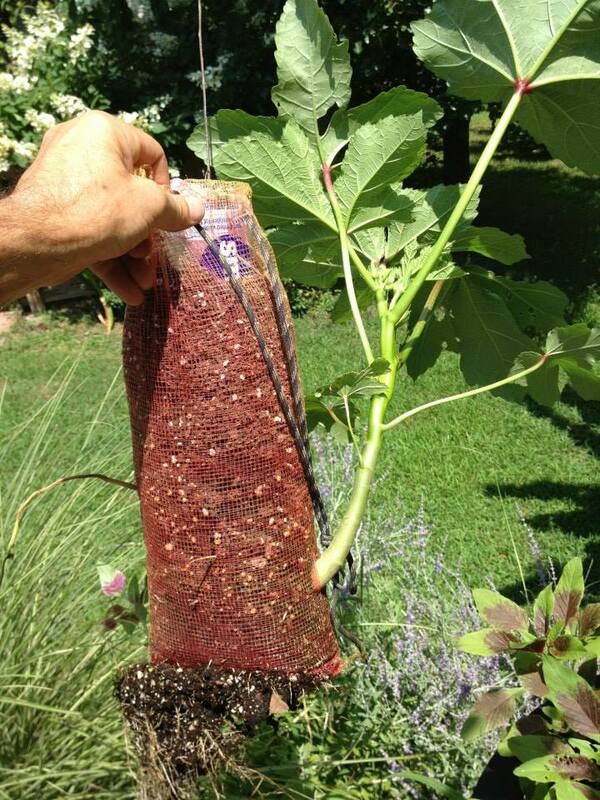 Free Manure can kill your broad leaf live goods. They don’t want it, they want it gone, and then the deciphering about the non-success you had is buried way back in the conception of you wanting to be “Organic” . Test a batch first, make the decision after. So how did your Solarized bed do? Mine fried like I wanted it to. If you missed the Frost last week, I believe you will have another chance on April 3rd on the Eastern Seaboard, just watch your weather, and remember when the weatherman says, “Cover your tenders” then uncover your Solarized bed. Next afternoon after Frost. And will Continue to die off. Made You a Salad… Typical Saturday Purchase at a Box Store, From the AD!! Seems the trend these days, when buying produce, is Eating Healthy. But suppose for a minute, you actually know, what’s in your store bought packaged soil?? ?Or do you want to know? Or, do you care, as long as the label states, It’s Organic? (By Federal Law, anything labeled Organic, only has to meet 85% organic, and the other 15%, they don’t have to divulge)From my findings on just Hay Field Crops alone, with the induction of 2-4D and Glyphosate, and Cow and Horse manure having these chemicals in them for up to 4 years after being eliminated by the animal and folks re-using the composted manure, then, crops failing, well, I love helping these Community Gardeners get going without the “free stuff”.Most folks, even the Balcony Gardeners, have a sense of what they are gardening with. But the Community Gardeners, have several “guests” in their plot. 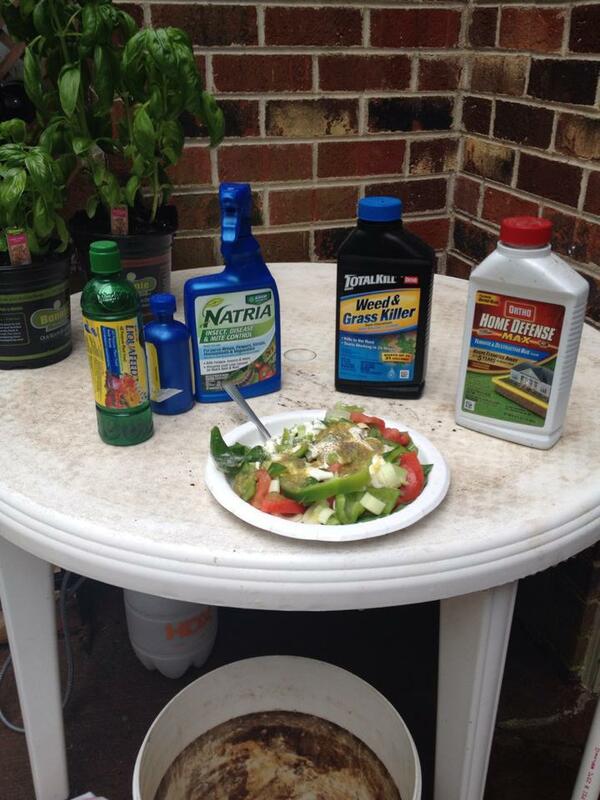 There should be a Community Rule, of NO Chemicals Here set up…. OR, be managed by a Personal Garden Coach who could monitor, educate, and help find sources of conditioners, compost, and other avenues of “pureness” in that community plot.Some of these plots, are steadfastly overseen by the elders, who won’t tolerate Box Store Ads or advice. They will tell you, “They just don’t make sense”. After all, they didn’t have those bagged, boxed, bottled goods when they were young, and they ate good! !Over the years, I have seen some flourish, get row by row, bigger by the year, and then others, fail and quit. Some, make a profit, selling off surplus to restaurants, others, donating to local Homeless Shelters. Whatever you do, DON’T QUIT! !One of the best reasons in Community Gardening, is the companionship developed in the age brackets. Some of the best Saturday mornings are spent weeding, picking, pinching back, watering, and then delivering fresh produce either via shopping cart, bike with a basket, and yes, even a golf cart. 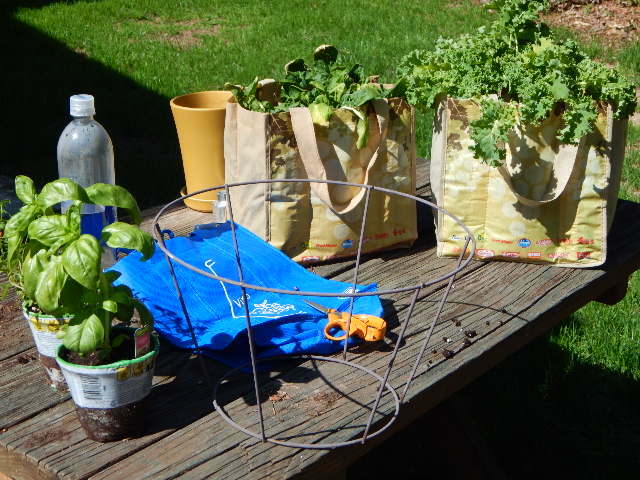 The lawn chairs are left for others, to come work as their time permits, as picked produce, are left in bags for them as well.I could go on, but remember, “Community Gardening” does not stop in the plot.. There are other venues, such as a Veterans Center, Hospice Ward, Retirement Home, Courtyard in an Apartment Complex, or just your own Cul-de-sac neighborhood. What are those useless center plots for anyway?Think about it. Find it. Organize it. It’s time to really find that spot to eat healthy and, well, mostly free!! Wondering what to give that certain somebody, kid, friend, relative, co-worker, etc. for Christmas? 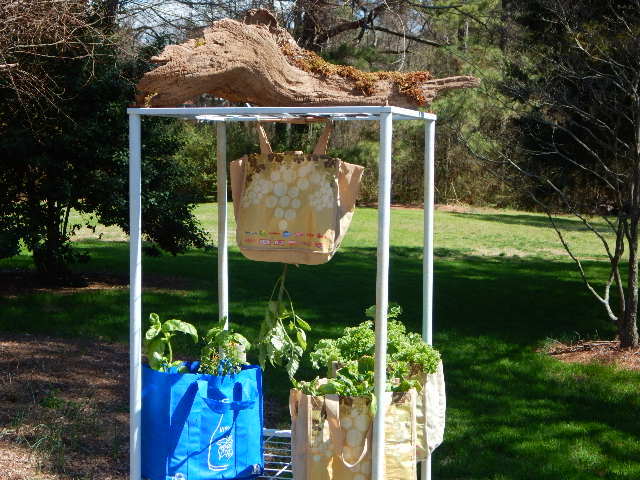 See my link at www.Kevinsgarden.com for purchasing a Personal Garden Coach as a gift. I’ve been given as a gift and auctioned off for years, either as a birthday, Christmas, and even by Realtors for their clients. Once, I was the “most wanted’ gift in the Chinese Christmas Game, if you know what that is. Some folks just need that bit of confidence, to keep them dirty, and successfully growing or improving their outdoor living. Let’s get dirty!! Companion Planting. Does it Work? Digging through the charts I have found very few dissimilar yes and no’s in the Companion Planting realm. I know I do a few, not all, but the success is there. I have even planted against the recommendations a few times just to see. Failure of the plant was the outcome. So as you are going into the beds, or even in them, you should try to seek out some of these charts. If you are in, simply inter-plant some things, and if you are planning to go in soon, act accordingly. 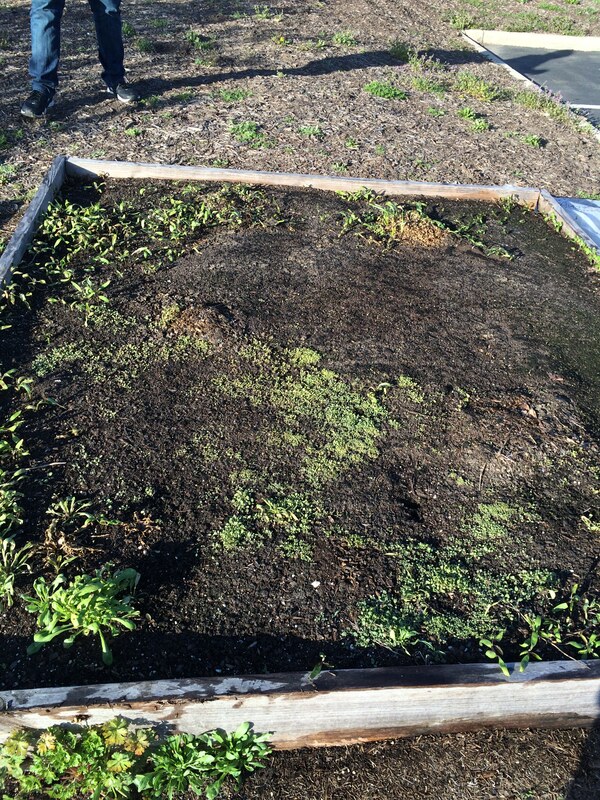 If you followed my “Solarizing a Garden Bed” articles, and in Part II, you can now see it works. I have volunteers and weeds dying everywhere the plastic was. So why stop there? Just a few corrections in the bed, and you can achieve less bugs, fungus, and some prolific growth on most of your veggies. Companion Planting has been around as long as we have gardened, well, shortly after anyway, because attention was there, as to what did and didn’t do well. Look up 3 Sisters Gardening for an example, or, read the ingredients on any jar of spaghetti sauce, and plant those Herbs near your Tomatoes, even in pots near them. Someone knew what went great with them? 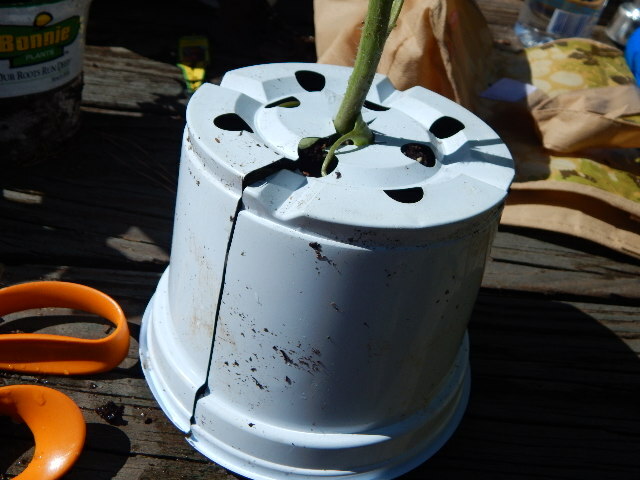 Not only Companion Planting, Solarizing, and composting but also, as we creep into this season, don’t forget to add some whole milk to the Tomatoes, helps with the Blossom End Rot because of the rains. Just a little timing on these matters will help you through the growing season. Do the milk now if you are in, or add it as you plant them. 1/3 cup to each plant. No feeding for 3 weeks after the milk, no Nitrogen. Then you can, but please don’t buy your fertilizer by what is on the picture on the label. Read the NPK analysis. Close to even across the numbers is best. 18-18-21 or 10-10-10 area is OK. But if you get an “all purpose” type, it will have too much Nitrogen, and you will have very nice green plants, hardly any bloom. I know if you are saving your eggshells, that’s calcium too, but it is a slow release. The whole milk is instant, and that is when you need the replacement, before the first blooms set. Yellow leaves at the bottom before the first blooms, yeah, it’s look out time! So if you find these charts about Companion Planting, follow some of them, and if you keep a Garden Journal as I always suggest, you can compare your notes about who did and didn’t do well before. Who was too close to what, etc. 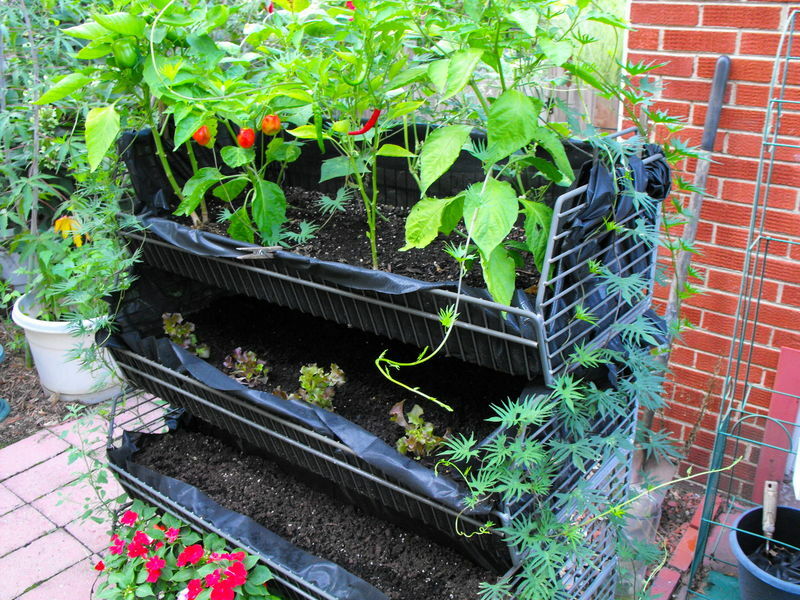 You will see an improvement in your gardens, and produce picked. Some of the charts deal only with either insects, fungus issues, fruiting, inhibiting. But some have them all, so don’t get confused, just pick a plan. As always watch the weather, some of you may still have some frost coming, even hail storms. 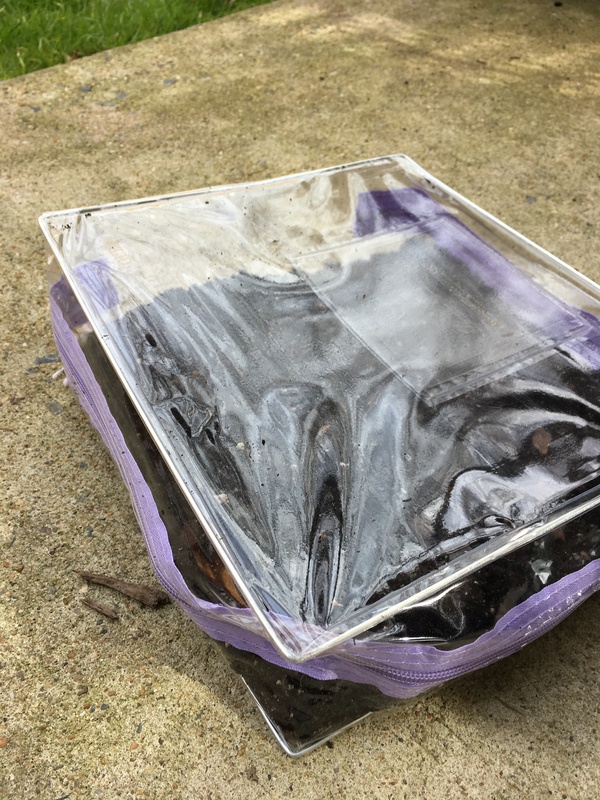 Keep some plastic handy and be able to cover, but water first, the wet soil will add humidity under the plastic and prevent frost from burning the leaves, or put a 5 gallon pail of water inside, that will help as well. 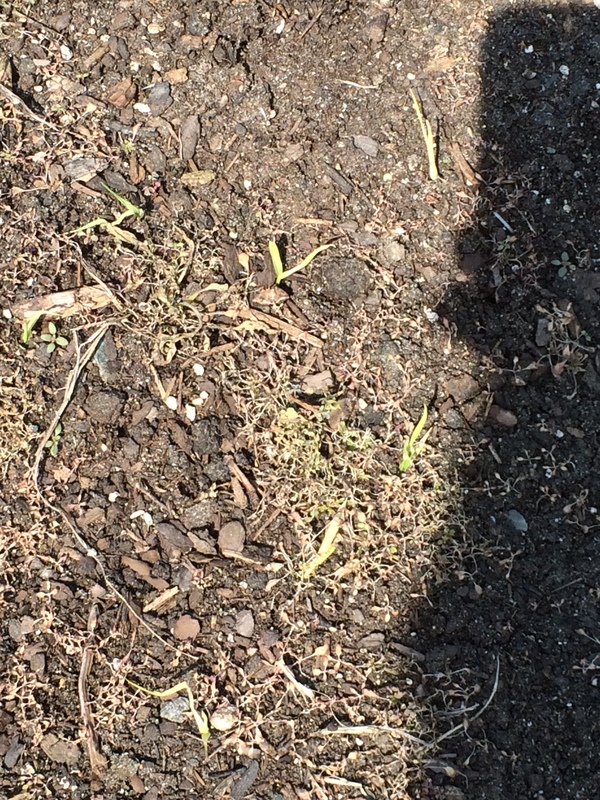 Hail can be devastating to a garden. I always kept 3 gallon pots, or cut off the bottoms of milk jugs to place over the plants, that’s IF you know it is imminent hail coming. 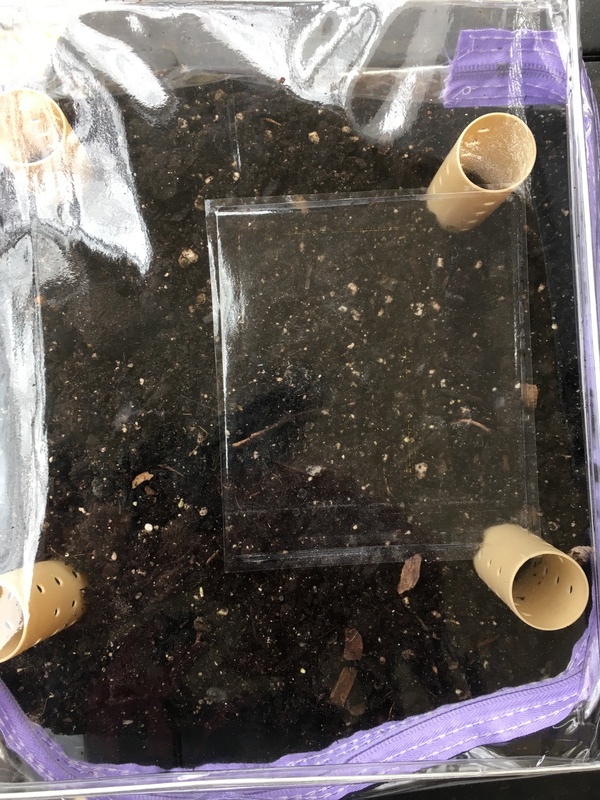 Place a bamboo stick or something similar through the hole in the container to help keep the pounding and wind from removing the container. Whew! Maybe these will help. Been there, done them. I will be shifting from Go Daddy to Weebly soon, so if you don’t hear from me, Bing me, and find me. I will add my secondary email just in case. Kevinthegarden@gmail.com. Wait! Don’t Throw That Out!! Part XXVI ? 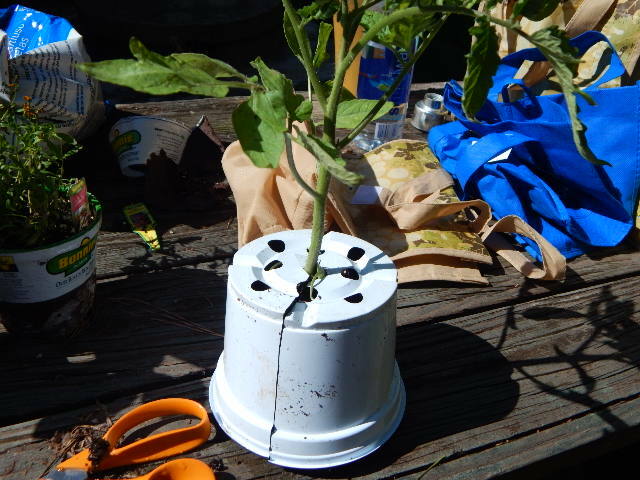 For over two decades I have been trying to get folks, either in the Water Gardening realm, to the Grow it Yourself people, NOT to toss out things that could be a sustainable “Growing Medium”. 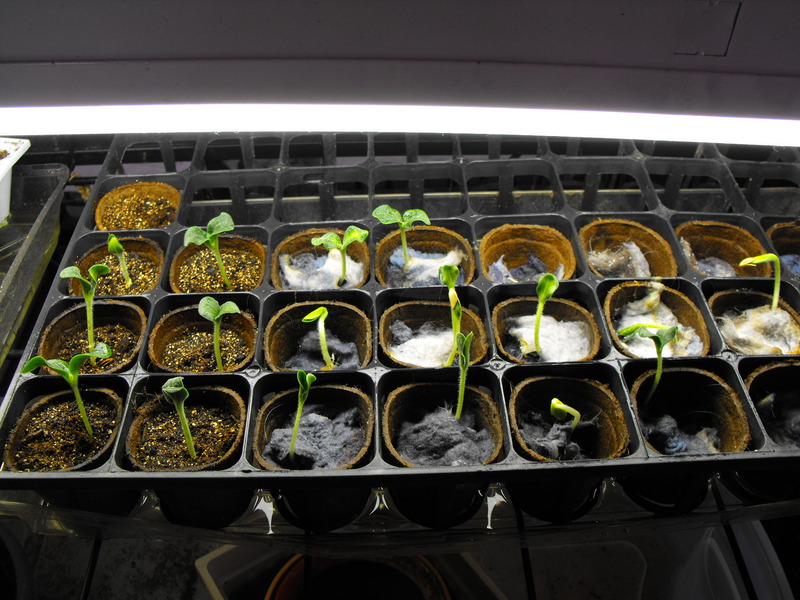 See my events about Seed Starting in Dryer Lint, shoes, pocketbooks, etc., if you forget. Even the “never before now always” composters are finding out about the gold they had been tossing out for ever. 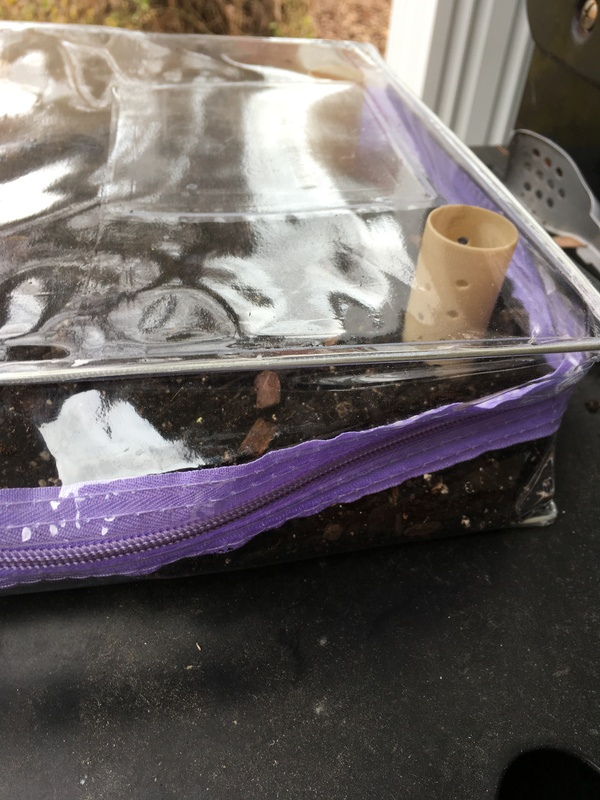 So now, again, the mysterious “Grow Bags”. I go to clients homes, and sometimes on trash or re-cycle days, and right there, right there, in their trash are the very things they are going to buy, the very thing, I am there to talk with them about. Growing stuff. So here’s some of the things, I save, to grow in. Balcony Gardening, starting seeds, whatever. If I find it, I’ll grow in it. So should you! First is an up-cycled store rack. 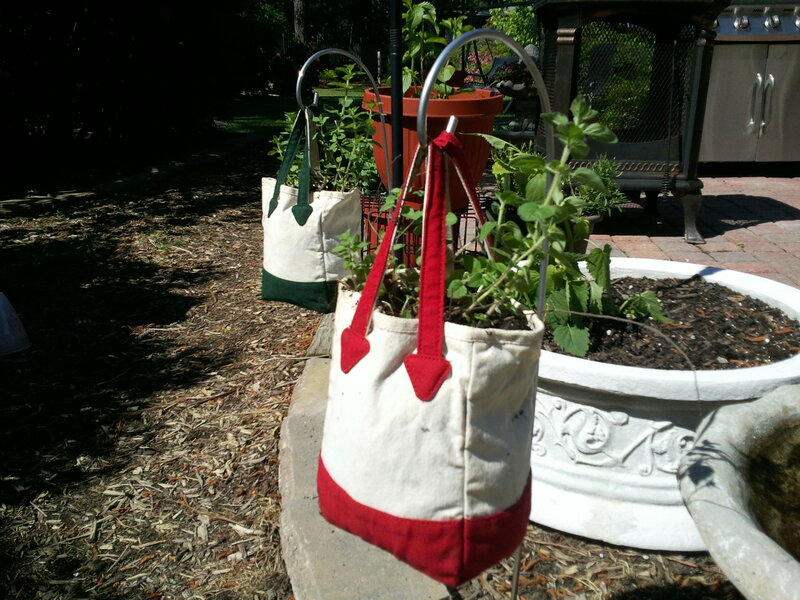 Great for balcony Gardening. Ask your grocery store, if they are tossing any racks. Grow in it. 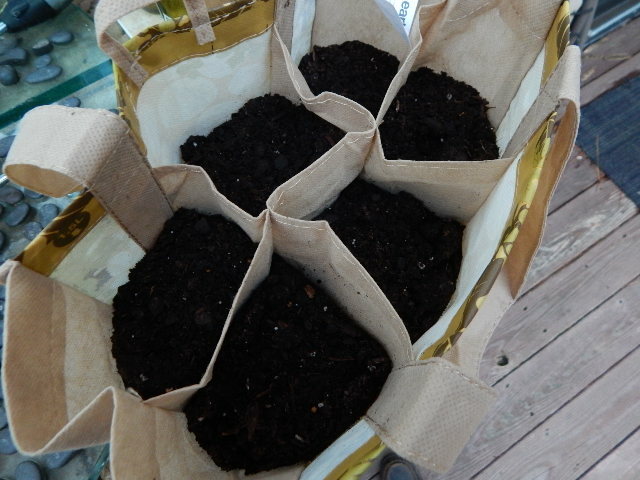 Next is the “Grow Bags“. But FREE bags. Grocery Store wine bags, the ones they give you. 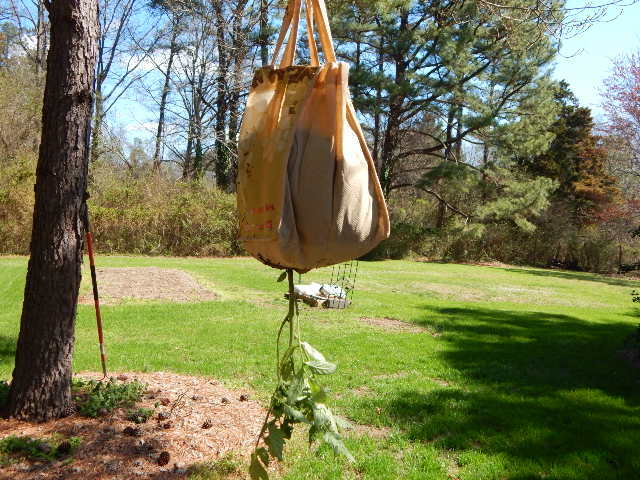 There’s even a hanging Tomato Plant there. 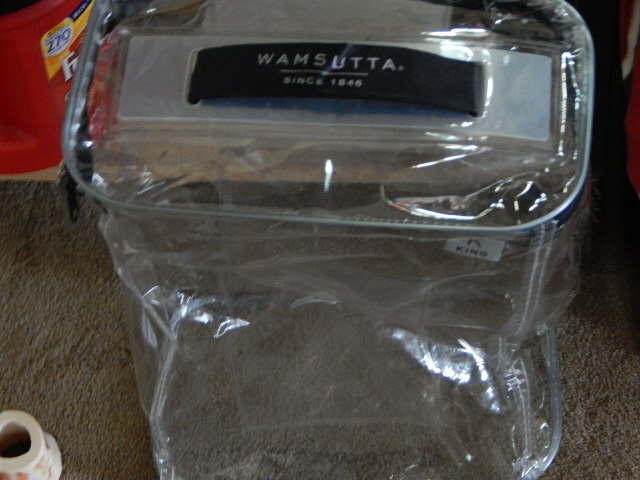 It is inside a pot with a slit and hole cut in it inside the bag for support. Just picture it upside down in the bag. Fill with soil. Same material the expensive bags are made of. Then we get to some other things like Onion Bags with Okra growing in it, Old water jugs with Tulips, some kind of canvas bags I found with Herbs, used clear salad containers, water bottles for cuttings, those clear zip up things that quilts, sheets come in make great Cold Frames or Hardening Off containers… Well, the list is very long. I even use my old spice containers for seed starting. 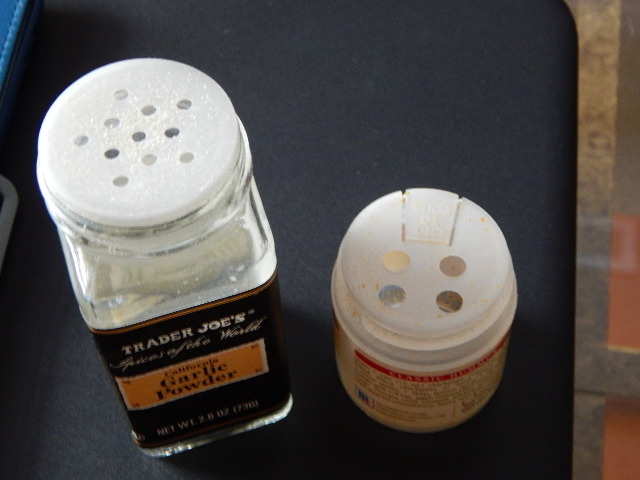 Different spices, different holes, different seeds. And of course, there’s Dryer Lint for starting seeds. So what happens when I show up at a clients home anyway? First is the issues they contacted me about, and seasonal timing. A plan is made, instructions and education. After that, any concerns about future projects. Of course, if it can be re-used, it will be. Don’t go to the dump just yet. I may see the very thing in the pile you would need. Balcony Garden People can find a host of items everyday to up-cycle. Either with other tenants, or in the community trash. Everything will look like a container. If you think you need a Personal Garden Coach, then get one. Most, like myself, even do community groups like Apartments, Clubs, and Cul-de-sac classes. 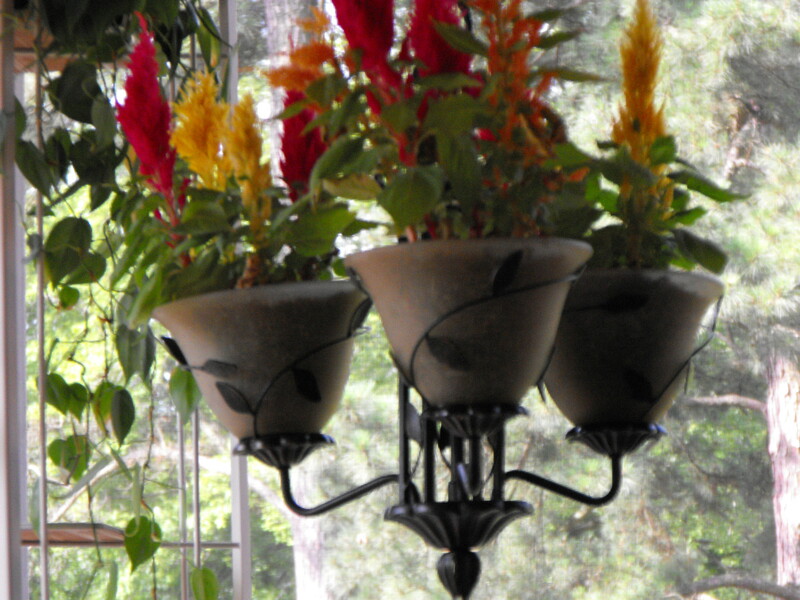 Don’t forget to sign up for my Monthly Newsletter at http://www.Kevinsgarden.com. 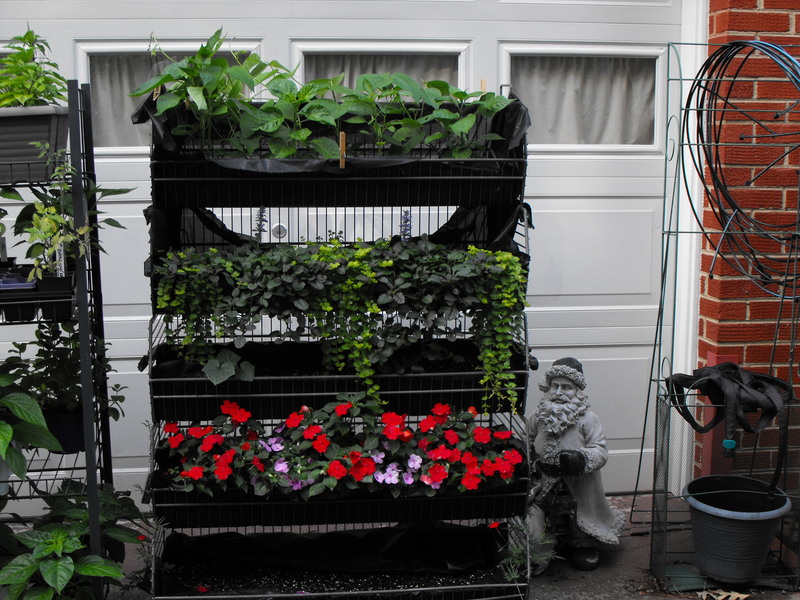 Email me your pics of your projects as well at Kevin@Kevinsgarden.com. You can also find me on You Tube at https://www.youtube.com/channel/UCf-TfudVKyD56l_F77dH01A. Somewhere on my website I still have Outtakes if you need a laugh.